It's time to sound off on five hot topics I think need to be addressed following the highly anticipated MudSummer Classic at Eldora Speedway. NASCAR's lone night on dirt is over and Darrell Wallace Jr. has claimed all the glory (but Kyle Larson stole the show). After 150 muddy laps around this iconic little speedway, here's five topics that I feel need to be addressed. It was great to see the words “Compelling” and “NASCAR” together again last night thanks to the MudSummer Classic at Tony Stewart’s joint in Eldora. 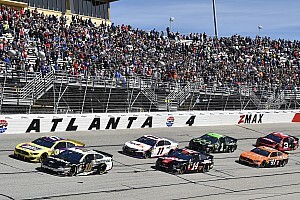 The NASCAR Camping World Truck race on dirt has gone from a dream to one of the most anticipated events NASCAR puts on in just two years. That should tell folks something. Eldora is unique. It is different. 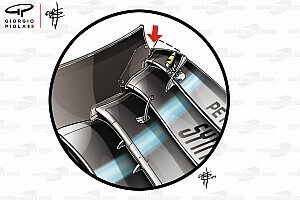 It is like nothing else from the setting to the surface as well as the racing. To be unique though, it can’t be duplicated and nor should it. You can only have one race each year on dirt. It can only be Eldora. It can only be midweek so the eyes of the sports world can clearly and completely focus on it with no distractions. It must remain unique. The racing was excellent. Again. 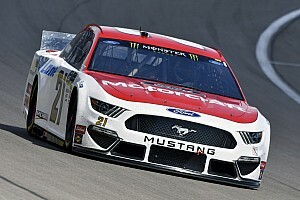 Even better than last year, because Tony Stewart’s group changed the banking and allowed the bottom line to be a full-blown option for drivers, you saw great racing at Eldora. Are you paying attention NASCAR? It didn’t matter how fast the trucks were going. We didn’t need to see the magical '200' number in the upper corner of the TV screen to tell us to care. In fact, I don’t think Fox Sports 1 ever put the speeds on TV. Why would they? It didn’t matter. What mattered was great racing and passing and the drama of Kyle Larson destroying his truck bouncing off the wall trying to run down a smooth sailing Bubba Wallace Jr. It was Compelling. So, pay attention NASCAR, if reducing speeds means better racing, do it. Fans will embrace it. You just got proof last night on the dirt. With a win at another special track last night, Darrell Wallace Jr. continues to impress. 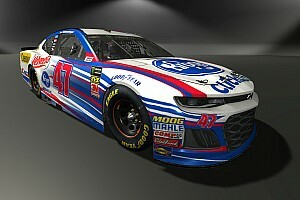 We are at a period of NASCAR history where we have a lot of talented drivers with great personalities and the ability to drive both fans and sponsors to the sport. This doesn’t happen all that often. Enjoy it. Tony Stewart is going to springboard his sprint car run from last week, the high of putting on a great show at Eldora last night and the wonderful summer heat and slickness of 'The Brickyard' to turn around his season this weekend. Rarely do I pick winners, but Stewart is going to Victory Lane Sunday. After kissing the bricks, he will start a late summer run that will make him one of the great stories of the Chase this fall. Why? Why not. The stars are aligning for Smoke. My name's Ryan Hyatt and I'm on the radio. Catch us every Monday night at 7pm est. where Motorsport.com manager Nick DeGroot stops by to debate some of the hottest topics in the world of motorsports; click HERE to tune in. 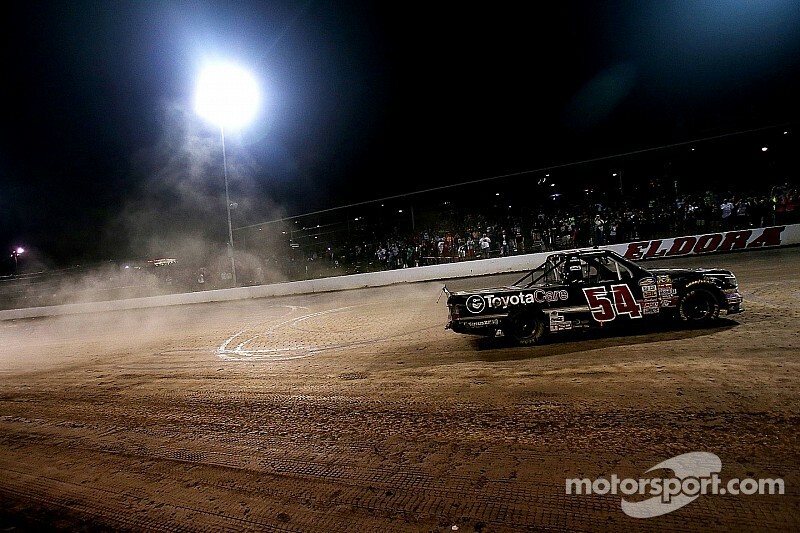 How did Tony Stewart and crew make Eldora's surface so racy? Drivers Tony Stewart , Kyle Larson , Darrell Wallace Jr.